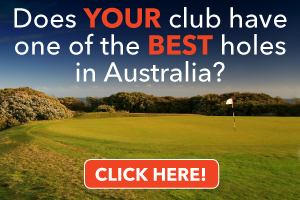 I’d like a dollar for every time someone has asked me: What are the best courses to play on the Gold Coast? It’s an unfair question to answer because the golf courses that thrill and challenge me may not necessarily excite others. For a start there are more than 40 courses to choose from including little nine-holers, well-established member clubs, private country clubs and opulent resorts. The Gold Coast has it all – even driving ranges where beginners and experienced players can fine-tune their game before tackling the fairways. But be forewarned – the Gold Coast is not the place to go if you only want to play golf and nothing else. There are so many other distractions like great beaches, great shopping, sightseeing, boat cruises, national parks, wildlife sanctuaries, theme parks, fine restaurants, casino, discos and jazz bars … and more. And if you are adventurous in your dining, you’ll love the Gold Coast because you can feast on sumptuous steaks, fresh seafood or perhaps indulge in Italian, Greek, Indian or Chinese. Yes, the Goldie, as it is affectionately known, is the place to go if you want to get away from it all – play some golf at some of the best courses the country has to offer and maybe engage in some of the other niceties life has to offer. There is no doubting the Gold Coast is Australia’s most famous tourist destination with more than four million visitors annually. Boasting 70km of spectacular coastline and beaches and sprawling over a 5000 square kilometre area, the Gold Coast seemingly lacks nothing for the international or domestic tourist. There are many factors that may make a sojourn to the Gold Coast nigh impossible if it isn’t planned properly – and soon. To begin with, the Gold Coast continues to grow at a rapid rate and has become a popular destination for golf tourists. One of the great things about a Gold Coast golf adventure is if your partner is a non-golfer there is a plethora of other activities that will keep them enthralled for hours – days even. Most of the resorts have swimming pools, spas, tennis courts and offer in-house pleasure like Swedish massages, health club, hair salon and kids’ club. Before getting to the important matter of organising your golf itinerary it is wise to deal with some of the many other arrangements – like accommodation. Because the courses stretch from Coolangatta on the NSW-Queensland border north to Sanctuary Cove and Hope Island, it’s sometimes a good idea to find a central location. A number of the resorts do offer accommodation packages including Royal Pines Resort, Radisson Resort and the Glades. Radisson Resort offer stay-and-play packages that includes playing at Palm Meadows, which is virtually on-site, Lakelands, across the road, Glades, Colonial or Robina Woods. Of course, you can do what I did and play all of them as well as a number of the other stunning layouts dotted around the Coast. Once you have established your accommodation base you’ll need to do some advanced planning to ensure you can get onto the best courses. And remember, most member clubs take themselves seriously so if you do want to play golf at these courses you will have to forward plan. Gaining access to these courses on weekends can be difficult but most will accommodate you mid-week. The resort courses differ and you will find it easier to step out on to the sun-drenched fairways that flow like green rivers. Why not follow in my footsteps – you’ll be pleasantly surprised by the wonderful selection of courses on offer. I started my golf escape at Palm Meadows golf course, which was one of the first golf resorts developed on the Gold Coast. The Graham Marsh-designed golf course has packed a lot into its short history. 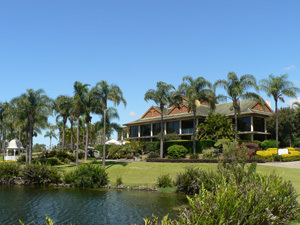 In the late 1980s and early ’90s the club hosted one of Australia’s richest tournaments – the Palm Meadows Cup. Some of the world’s best golfers of that time made an annual pilgrimage to play in the event including Greg Norman, Bernhard Langer, Ian Woosnam, Curtis Strange, Nick Faldo and others. 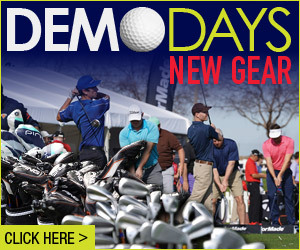 These days Palm Meadows puts on a number of top amateur events and hosts around 40,000 rounds each year. The layout blends rolling fairways with groves of palm trees, hence the name, as well as an extensive lake system that ensures golfers remain focussed on club selection. The course boasts some delightful holes and the par-5 18th is definitely worth waiting for. 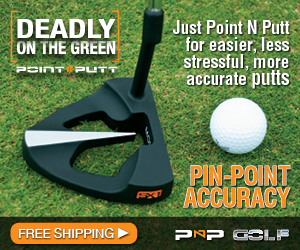 Greg Norman described it as “the ultimate test”. It’s a par-5 dogleg right measuring 525m from the back tees. Golfers are faced with a double water carry – the first can be anything from 120 to 250 metres. If you take the longest route and hit the fairway there’s a good chance you can get home in two. If you decide to play safe and lay up with your second just short of a water channel, there’s every chance you will walk off with a satisfying par – even a birdie. Unfortunately, too many players go for glory and end up in a watery grave and walk off with a disappointing double or triple and ruin what, until then, was a reasonably good scorecard. My next stop was the wonderful Jack Nicklaus-designed Lakelands golf course. I have played Jack’s signature course a number of times and it just gets better with age. 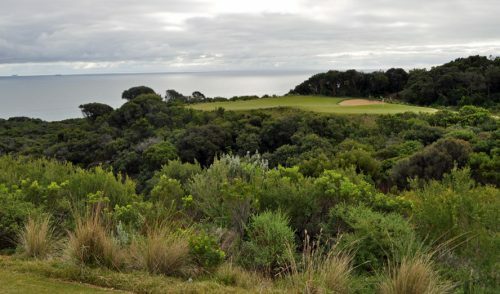 No wonder it has a reputation as being one of Australia’s best golf courses. The picturesque course won’t beat you up but even if it does, you will enjoy the extremely challenging experience. And I guarantee, you’ll want to return sooner rather than later. There are several tee positions to choose from so you can decide the degree of difficult. 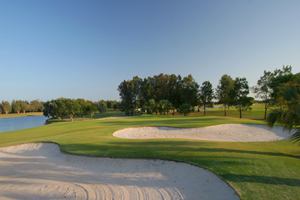 Lakelands is a relatively flat course that has been brought to life by thought-provoking designs, use of native vegetation, water hazards and extensive bunkering. Don’t leave the Gold Coast without playing this beauty. Moving south, you’ll discover Colonial, formerly known as Paradise Springs, which is situated on the picturesque lakes area of Robina. Colonial boasts a magnificent Queensland-style clubhouse with a 360 degree veranda, making it the perfect spot to unwind after a round. It’s a course where you can hit a lot of greens in regulation because the greens are huge. 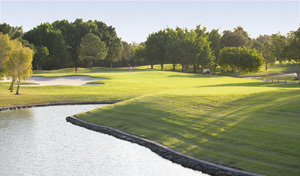 Colonial is also known for its prevalence of water which can come into play on as many as 16 holes. But don’t be put off because the fairways are generous and receptive to the average player. Like all resort courses, visitors can chose to play off the back tees or take their chances from the less challenging forward tee boxes. Be forewarned – you will be challenged. Just down the road, nestled on 65 hectares of natural bushland and hills is Robina Woods – one of the Gold Coast’s most visually stunning courses. 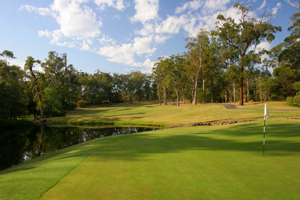 Designed by the Graham Marsh-Ross Watson team, Robina Woods is another of those must-play golf courses. 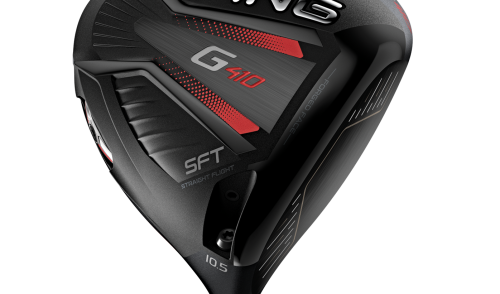 It provides a real challenge courtesy of its undulating fairways where you will be challenged often by having to play the ball from above or below your feet. Despite the challenges, Robina Woods is extremely accommodating to the average player off the forward tees, but keeping the ball in play is vital otherwise the tall timber and other hazards will exact revenge. Even if you do miss the fairway there is generally a way out and the chance of making a par. The scenery is stunning with towering eucalyptus swaying in the breeze not to mention the featured lakes, ponds and creeks. There’s plenty of wildlife around and more than 100 bird species to keep your mind off any mis-hit shots. A visit to the Gold Coast wouldn’t be complete without having played the Glades. This Greg Norman-designed course, arguably his best work, is a picturesque par 72, 6420m championship course nestled in a creekside valley between Robina and historic Mudgeeraba. To play the Glades successfully the placement of your approach shot to the deeply bunkered greens is critical. Aim to the open side of the green away from the bunkers. On some holes even short of the green can be a good option. For the record, there are 98 bunkers spread over the course. Once on the putting surface you’ll be amazed how true the greens are thanks to the new type of creeping bent grass. But it’s the course as a whole that is the real attraction – and challenge. Norman’s creation captures the essence of the terrain beautifully and he even retained nine hectares of wetland area to create a natural wildlife sanctuary with the courses. The Glades has packages to suit all individual requirements. Golfers can take advantage of affordable stay-and-play packages while non-playing partners can utilise special beauty and relaxation treatment packages. 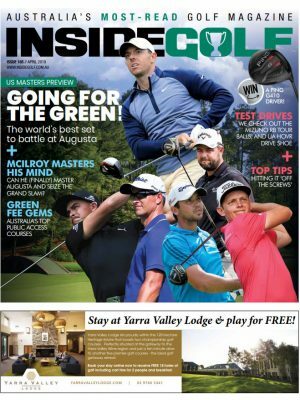 Make a U-turn and head north to RACV Royal Pines Resort, home of the Australian Ladies Masters. The golf course is the showpiece of the sprawling residential resort, towered over by 331 rooms including 46 corner spa suites, two executive suites and a royal suite. All rooms provide breathtaking views over the golf course and there are a number of restaurants, indoor and outdoor pools, gymnasium, tennis courts, beauty salon as well as conference facilities. 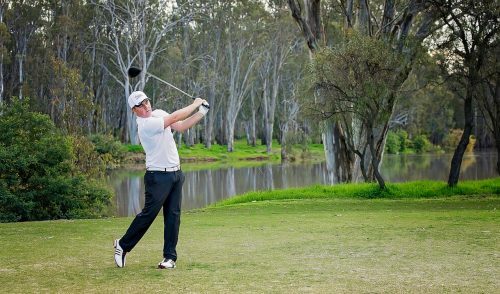 Royal Pines boasts the Gold Coast’s only 27-hole composite golf course and like many of the area’s courses water is a feature. Essentially a flat course, except for some holes on the third nine holes, golfers shouldn’t be deterred by the amount of water because you’d have to play a rather dreadful shot to get on some of the lakes. The greens are nice and big and generally fairly flat while there are plenty of bunkers set in strategic place to keep you honest. And they are vast – no wonder my playing partner kept saying “you’re on the beach” every time I landed in one. If you want to make sure you get over the bunkers on approach shots, take an extra club, but take care because many greens have traps over the back. There’s a nice friendly feel about Royal Pines and I do enjoy spending time there – whether it’s to play golf and stay for a few days. That’s just a small sample of some of the best courses the Gold Coast has to offer, however, you will come across many more fine courses in your travels. Enjoy. Golfing visitors to the Gold Coast can make life easy for themselves by enlisting a tour company. Above Par Golf Tours will solve the problem of locating the courses and other places of interest. They are experienced in all aspects of the game and the area. And they know the best places to play and how to take advantage of special offers and discounts. They can help organise accommodation, transport. “Golf tours are all we do and we can therefore focus 100 per cent on our stated aim, greatly enhancing our effectiveness,” a company spokesperson said. When it comes to accommodation, the Radisson Resort has all the first-class facilities required and can put golfers in touch with operators of an enormous range of Gold Coast activities. Radisson Resort guests can stroll from the front door to Palm Meadows and Lakelands just across the road. The resort has established close affiliations with five courses so when you’re staying at the resort you have the choice of five superb courses with all bookings and transfers arranged. Golfers have the choice of staying for a day or two or for five days so that they can play a different golf course every day. All rooms feature a balcony or courtyard, many with magnificent golf course or pool views. There are two swimming pools, a fully-equipped gymnasium, health and beauty spa, four flood-lit tennis courts plus restaurant and bar. The Breakers offers a full range of self-contained holiday apartments with a choice of 1 and 2 bedroom apartments, Beachfront Cabanas able to sleep up to 6 and 3 and 4 bedroom penthouses able to sleep 6-8 people. All apartments have spacious living areas, fully-equipped kitchens, private laundries, in room telephones and complimentary cable television and the Some of the features include ocean views, heated outdoor pool, children’s wading pool, beachfront BBQ terrace, security undercover parking, airport transfers Broadband internet access. And they can arrange golf packages.